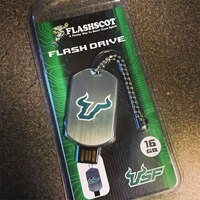 Brand promotion and design doesn’t have to stop with your flash drive. 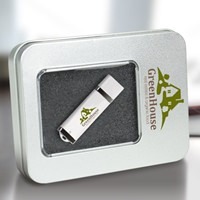 Consider custom USB packaging to continue and enhance your brand’s image. 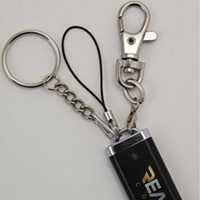 Flash drive packaging is an excellent medium for both promotion and protection of your drives. Ensure that your advertising lasts while also adding an extra dash of brand exposure. 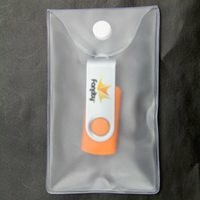 We carry a variety of boxes, cases, holders, sleeves, and other options to suit your individual marketing needs. By accessorizing with the right storage and presentation selection, you can expand your printing options for a finished drive that’s all your own.